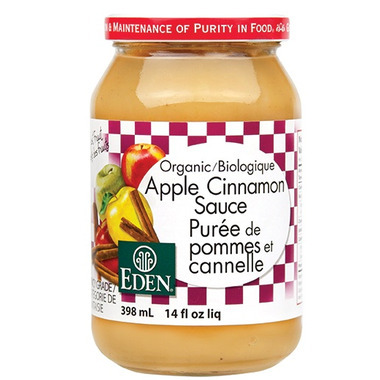 Eden Foods Organic Apple Cinnamon Sauce is a time-honoured classic. Its sweetness is solely from a select blend of Michigan family orchard organic Apples cooked into a thick, sweet, 12.5 Brix apple sauce. Organic cinnamon contrasts the sweet and brightens its flavor. 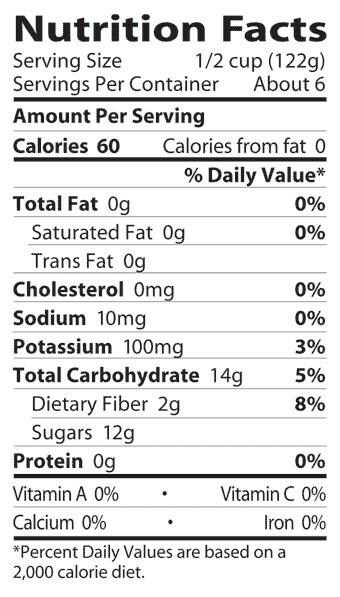 Eden Foods Organic Apple Cinnamon Sauce is a good for you dessert or snack anytime, anywhere. Love the flavour no preservatives or additives just the true taste of apples and cinnamon. Tastes so good and the only ingredients are apples and cinnamon!